Cristiano Ronaldo scores his 125th Champions league goal. Ronaldo, who has won the competition five times, netted his 125th Champions League goal just before half-time with a diving header following Joao Cancelo’s cross. 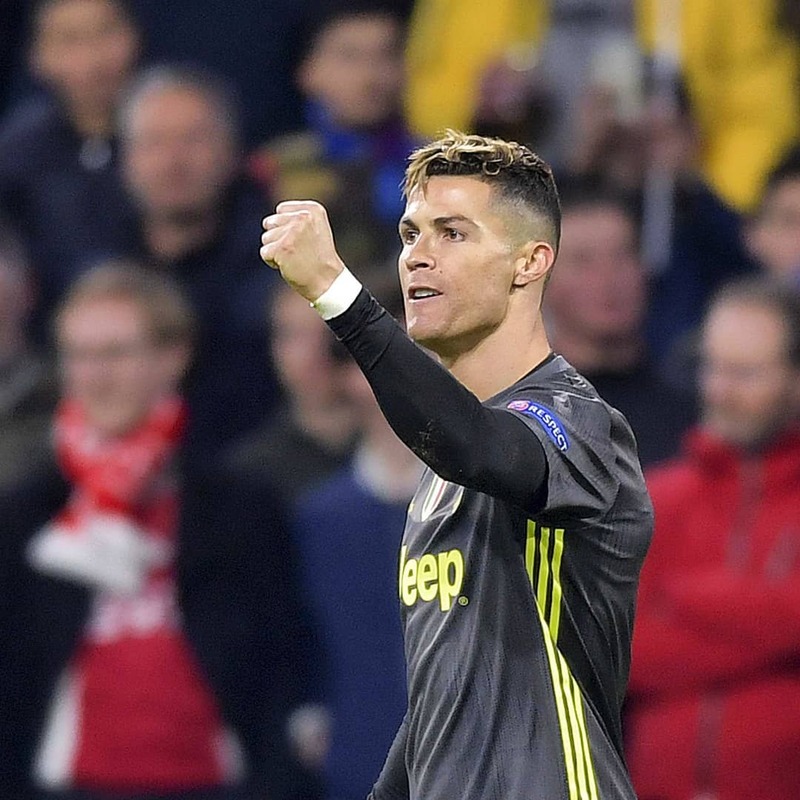 Cristiano Ronaldo secured an away goal for Juventus as they drew the first leg of their Champions League quarter-final against Ajax. The goal had come against the run of play, but the hosts equalised within a minute of the second half starting, through David Neres’ fine curling effort from 15 yards. Both teams had late chances with Ajax’s Jurgen Ekkelenkamp having a shot saved before Juventus substitute Douglas Costa hit the post. But neither side could grab a winner and they meet in the second leg in Turin on Tuesday, 16 April. The winners of the tie face either Tottenham or Manchester City in the semi-finals, with Mauricio Pochettino’s side holding a 1-0 advantage after Tuesday’s first leg in London. Ronaldo was playing for Juventus for the first time since he scored a hat-trick to give them a 3-2 aggregate victory against Atletico Madrid in the last 16. He picked up a thigh injury on international duty for Portugal and there were doubts whether he would be fit enough for the tie. But his fifth Champions League goal of the season gives his side a good chance of reaching the final four, and a goalless draw at Juventus Stadium next week will be enough for them to advance. The Italian leaders, who are only one point away from winning the Serie A title, had not had a shot on target before their 45th-minute goal. It came from a throw in near the halfway line and they quickly countered with Ronaldo releasing Cancelo, but no Ajax man tracked the Portugal forward’s run into the penalty area and his diving header was too powerful for Ajax goalkeeper Andre Onana to keep out. Ronaldo won the Champions League title in each of the past three seasons at Real Madrid before his move last July to Juventus, who remain on course to win the tournament for the first time since 1996. Ajax were playing in their first Champions League quarter-final since 2003 and will feel they should be taking a lead into the return leg in Italy. 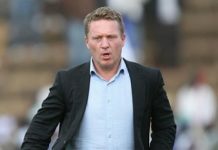 The Eredivisie leaders had 61% possession and 19 attempts, of which six were on target, while Juventus’ goal came from their only effort on target. In front of a capacity crowd at the Johan Cruyff Arena, Ajax played some lovely one-touch football as they forced Juventus to defend deep and rely on counter-attacks. The impressive Hakim Ziyech was twice denied by away goalkeeper Wojciech Szczesny, with the ex-Arsenal man producing a brilliant one-handed save to push a curling effort over the bar after earlier saving a low strike. Donny van de Beek also shot narrowly wide and Lasse Schone fired a free-kick over the top before Ronaldo’s goal gave Juventus the lead. But Neres gave the hosts the equaliser they deserved within seconds of the restart as he cut inside from the left wing and curled the ball past Szczesny. Although disappointed to not have a lead, Ajax will not be daunted by the task facing them in six days’ time and will remember what happened in the previous round. In the last 16, they lost 2-1 at home in the first leg against reigning European champions Real Madrid before winning 4-1 in the second leg at the Bernabeu to book their place in the last eight. Following a run of 24 wins in 28 knockout games at home in the European Cup/Champions League (drew three, lost one), Ajax are now winless in their past seven such matches (drew four, lost three), last tasting victory against Borussia Dortmund in the quarter-finals in 1995-96. Juventus have progressed to the next round from six of the previous seven European Cup/Champions League ties in which they have drawn the first leg away from home; their one elimination came in their most recent such tie (v Manchester United in 1998-99 semi-final). Ajax are winless in their past 10 matches with Juventus (won none, drew five, lost five), the joint-longest winless record of one side against another in all European competition, along with Benfica v Bayern Munich (also 10). Juventus had no more than one shot on target in a Champions League encounter for the first time since April 2015, when they drew 0-0 in Monaco in the quarter-finals. Each of Ajax’s past 12 home goals in the Champions League have come in the second half of matches. Juventus boss Massimiliano Allegri has faced Ajax five times in the Champions League without winning (played five, won none, drew four, lost one). Thanks to his opening goal, Juventus striker Cristiano Ronaldo is now the joint-top goalscorer in the Champions League at the Johan Cruyff Arena with six goals (level with Zlatan Ibrahimovic). Only Dusan Tadic (nine) has had a direct hand in more Ajax goals in the Champions League this season than David Neres (four – two goals, two assists). Ajax boss Erik ten Hag said: “One-one is not the result you hope for, but it is a result. Juventus head coach Massimiliano Allegri said: “Ronaldo showed he is on a different level. “His timing and movement is different to everyone else’s, there’s nothing you can do about it. He’s a player who just has a different technique than the others. “It’s a good result because we scored away from home, but the tie is still open. One each is better than 0-0, in Turin we will have to play to win.